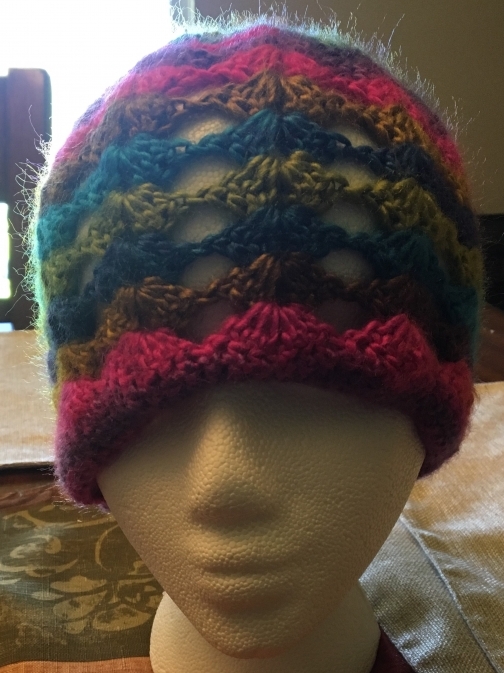 Crochet shells beanie with bright colors made with Red Heart Acrylic Yarn. 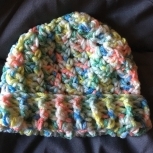 Beanie has a great mixture of pink, purple, blue, and green colors. 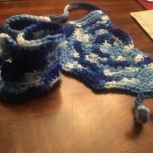 Beanie has a gold and light brown band in a wave pattern. Made in a non-smoking environment. 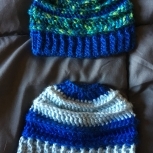 Beanie were made with a shell pattern, but the color scheme may be different due to the type and style of yarn. 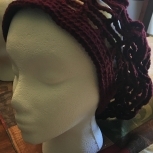 Beanie is very soft and would make a wonderful birthday gift or wear to add a little color to your own casual outfit. Beanie was made for teens to adult. 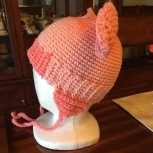 Approx size: Hat will fit heads between 19"-22" circum or for teenager to adult. Care instructions: Hand wash and lie flat or gentle/delicate cycle. 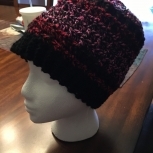 Beanie might stretch with wear or can be stretched by blocking once wet or after washing.